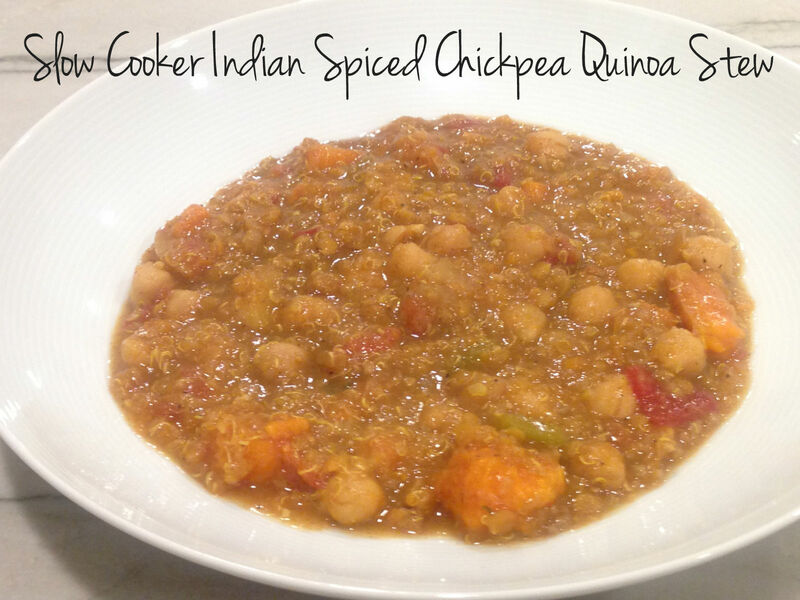 Here is a super simple deelish slow cooker meal! We LOVE a great one-pot meal! I like Kathy’s suggestions to add any veggies you have on hand or use yellow lentils instead of red, potato in place of turnip and even carrots. A while ago I spent a day doing a Huge Freezer Cook aka cooking/assembling meals and freezing then for later use! Brilliant idea but makes for one super crazy cooking day plus another whole afternoon to shop! But I made 26 meals to freeze!! Some meals required cooking and storing in tins to be later defrosted and cooked or reheated. Some meals, like this one, I cut and prepped all the ingredients/spices and put in a food saver bag so it was ready to go in the slow-cooker 🙂 We Love having a freezer full of meals for when we need a prepared meal and don’t feel like or have time for cooking! This was PERFECT after we came home from vacation recently. We woke up in the morning and I just tossed the bag of ingredients & the 4 cups of water, in the slow-cooker and 8.5 hours later we had a wonderful & hot dinner. Which after coming back to the cold, snowy NY from hot and sunny Mexico was much needed to warm us up! Plus always so nice when the kids love the meal you prepared! Yeah! * If you plan to prep & freeze for another time, add the water at the time of cooking. I was super excited to read about Babette’s in East Hampton. They offer many different vegan dishes. When we went we were happy to get an outside table but I was a little astounded by the prices for the kind of food it was. But hey, its the Hamptons, I get it. The Lentil Vegetable Walnut burger with avocado and soy cheese was decent, but we liked the one at Banzai Burger better. 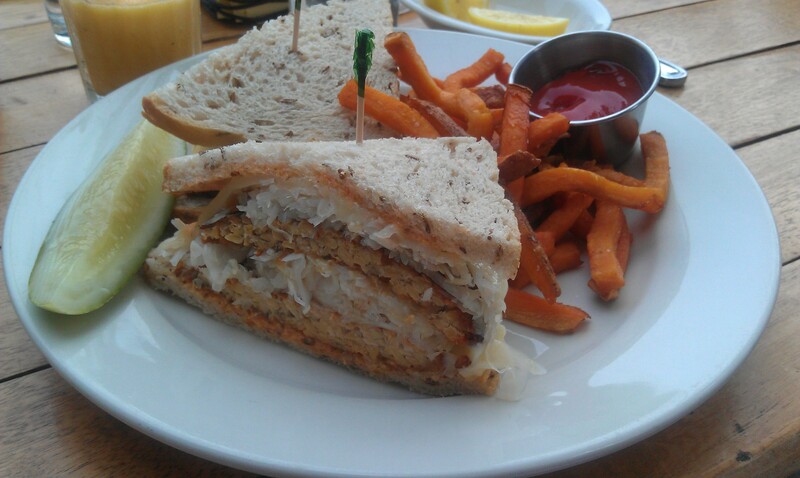 We also had the vegan Tempeh Reuben which was super yummy. The sweet potato fries and smoothies were good too 🙂 I would go back but maybe try some of the other vegan options. I love that there are many! Fun! This recipe was amazing and unbelievably low in fat! So many veggies and such a great idea for the sweet potato layer! And literally the only fat in the dish was from the tofu and daiya cheese, amazing! Also no need to buy no-boil noodles as these came out great and were completely cooked through. The author loves it so much that he served it at his own wedding! Sauté the onion and garlic on high heat for 3 minutes in a wok or nonstick pan. Add the mushrooms and cook until the onions are limp and the mushrooms give up their liquid. Remove them to a large bowl with a slotted spoon. Reserve the mushroom liquid in the pan. Sauté the broccoli and carrots for 5 minutes and add to the mushroom bowl. Sauté the peppers and corn until just beginning to soften. Add them to the vegetable bowl. Drain the silken tofu by wrapping in paper towels. Break it up directly in the towel and mix into the vegetable bowl. Add spices to the vegetable bowl and combine. 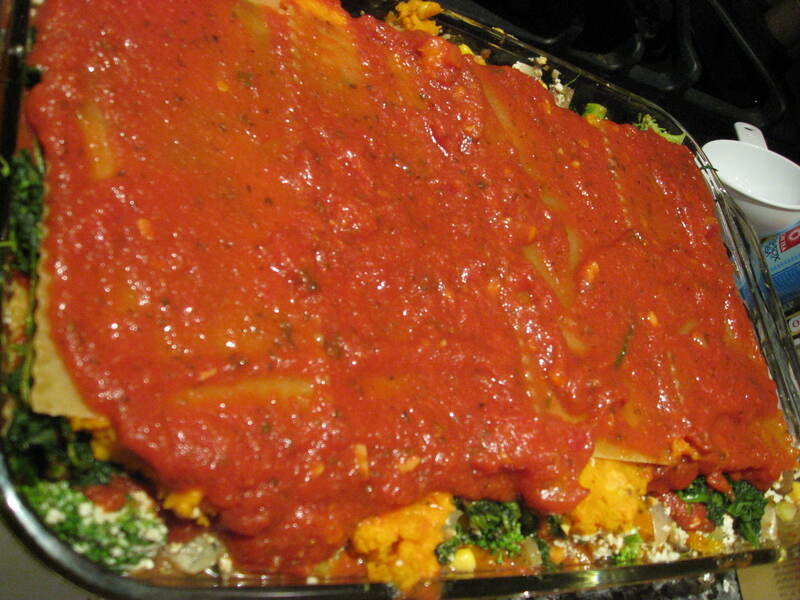 Cover the bottom of a 9-by-13-inch casserole with a layer of sauce. Add a layer of noodles. Cover the noodles with sauce. This way the noodles cook in the oven, saving time and energy. Spread the vegetable mixture over the sauced noodles. 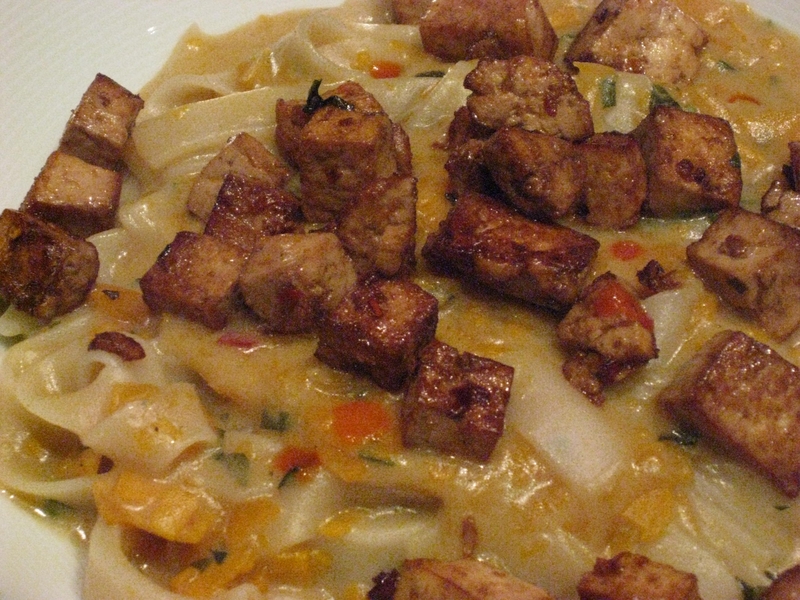 Cover with a layer of noodles and another dressing of sauce. Add the spinach to the second layer of sauced noodles. Cover the spinach with the mashed sweet potatoes. Add another layer of sauce, the final layer of noodles, and a last topping of sauce. 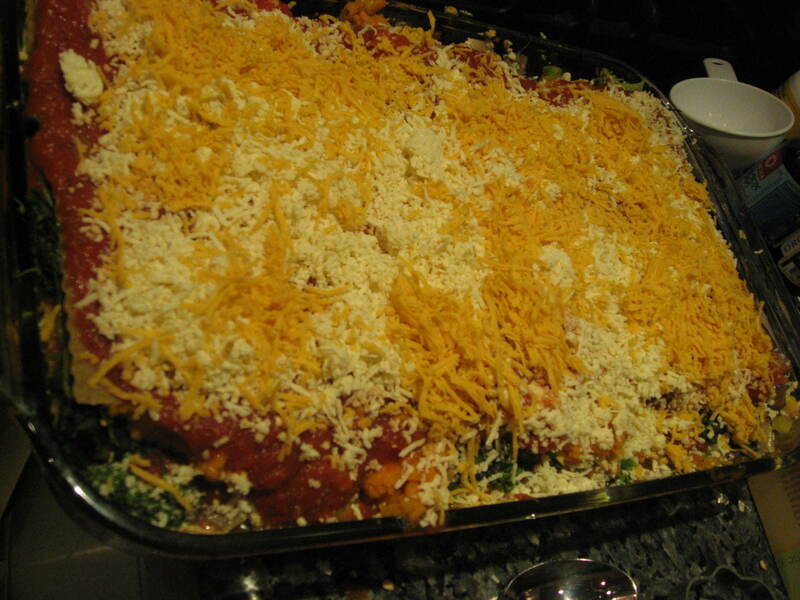 Cover the lasagna with daiya cheese. Cover with foil and bake in the oven for 45 minutes. Remove the foil and return to the oven for 15 minutes. Let sit for 15 minutes before serving. 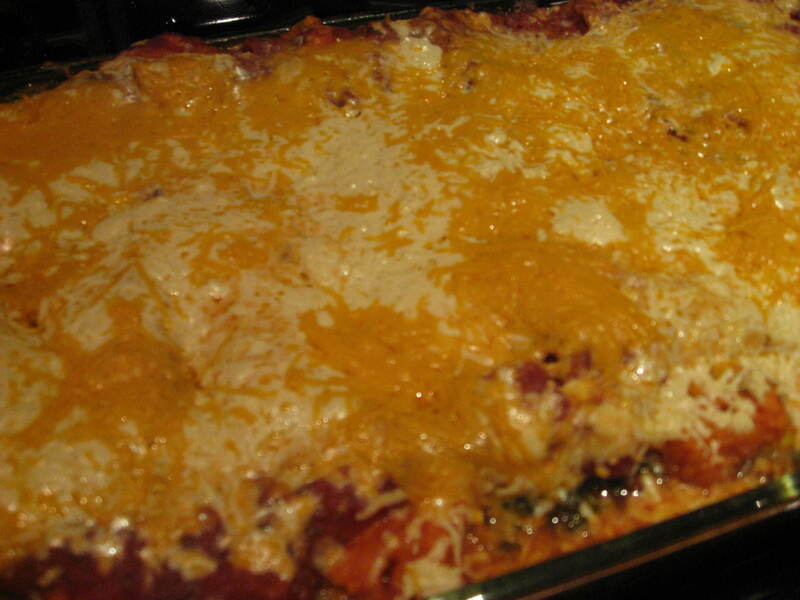 Makes 10 – 12 servings of sweet potato lasagna. Game Day at my house is always an event! I don’t always make fun and fabulous foods but I try to. This one was so perfect and yummy! On these kind of days I can appreciate the short prep time so we can just sit down and enjoy ourselves. I always love making a sauce like this because not only is it amazing but it is so bright and gorgeous too! 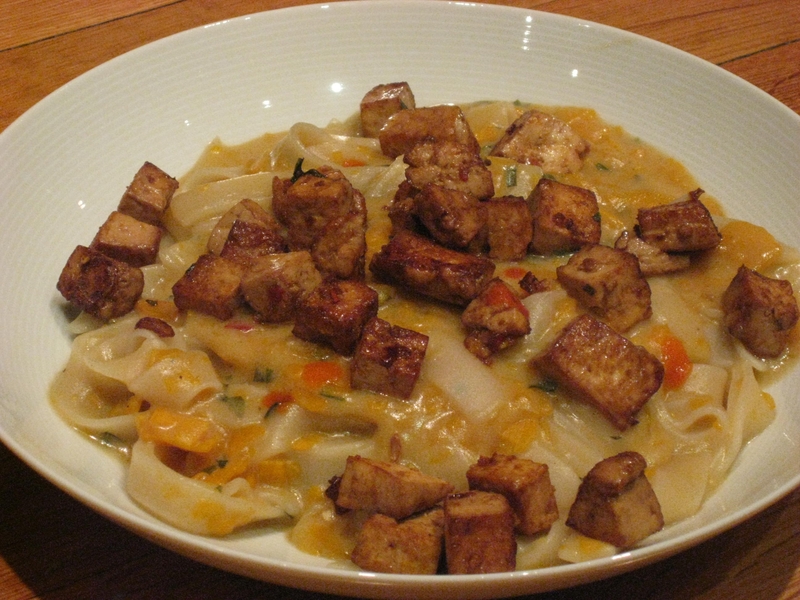 The inspiration for this dish was from one of the great NYC vegetarian restaurants, Gobo. 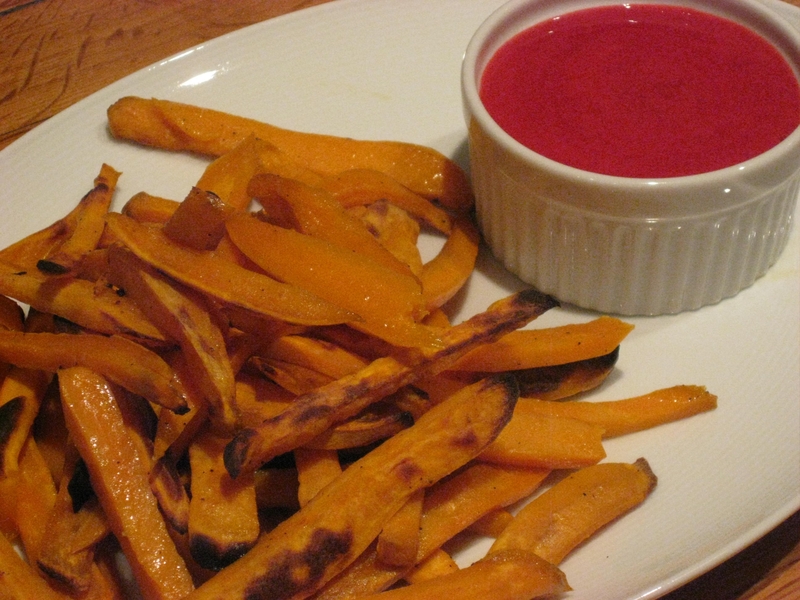 When I was younger I would order their Yam & Yucca fries that always came with a yummy raspberry dipping sauce. I haven’t ordered french fries anywhere in years, so this was such a pleasure to indulge in! I love taking something classic like that and updating it with a healthy twist! Deelish! Preheat the oven to 425 degrees. Spray or lightly grease a large baking sheet. 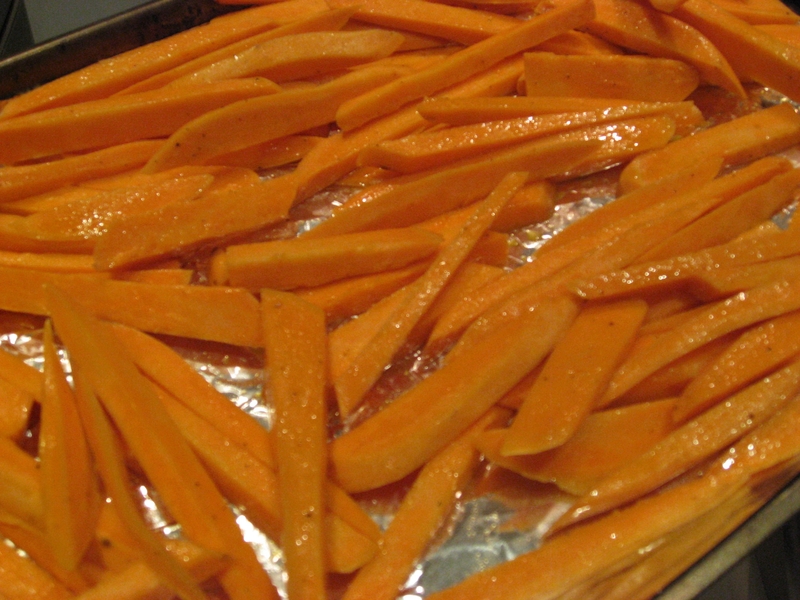 Peel the sweet potatoes and cut them in 4 slices lengthwise. Then cut east piece into 1/4-inch wide strips. Place them into a large bowl and add the oil, salt, and pepper. Toss gently to coat the potato slices well and spread them on the baking sheet in a single layer. Bake until the potatoes are lightly browned and crisp on the outside and tender on the inside, 25 – 35 minutes. Make sure to rotate them once halfway through. While potatoes are baking; combine the frozen raspberries with agave until smooth in a food processor or blender and pour into a serving dish. When the potatoes are done serve immediately with dipping sauce. My fabulous girlfriend Dina sent me the most deelish and simple recipe recently. I made it and was beyond delighted. I am already thinking about making it again soon. It was really quick and I had almost all the ingredients in my house already. This was just so tasty! I used wide noodles which took about 10 minutes to cook. It came out with the most delicious, thick, coconuty sauce! 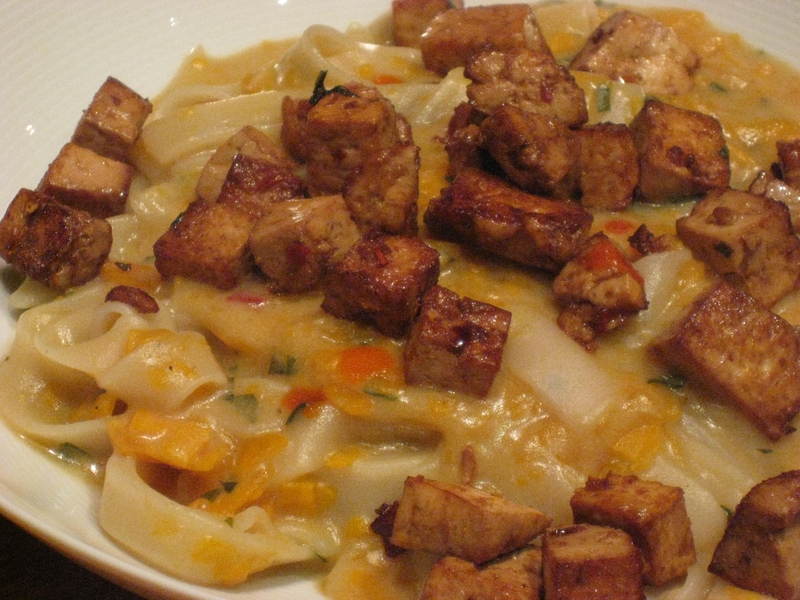 If you use thin noodles, it might need less cooking time and turn out more brothy. I had sliced the yam with a mandolin so it was super thin and broke up during cooking which just added to the thickness of the sauce. We do not normally eat that much tofu in our house, but Michael and I agreed that this was the best we ever had it prepared, it was so good! Combine the veggie broth, coconut milk and coconut water in a saucepan over medium heat. Next add basil and the yam and bring to a boil. Cover and let simmer until the potatoes were tender. Add the rice noodles and cook till soft, 3-7 minutes. Pour the oil in saute pan over medium heat and add the tofu. Hit it with some soy sauce, ginger, lime zest, lime juice, red pepper flakes and sriracha sauce. Saute until nice crust forms on tofu. 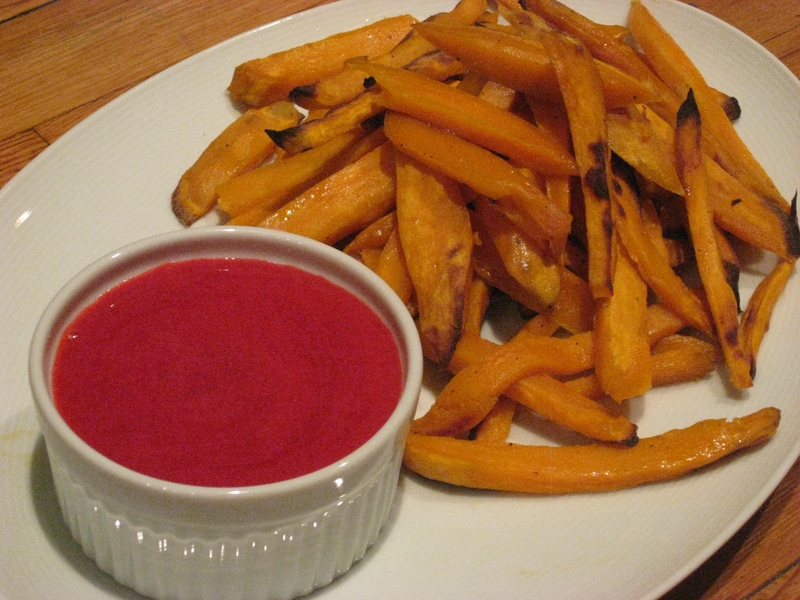 Bake the sweet potatoes at 350 degrees for 40-50 minutes. Cut open and add coconut butter, cinnamon and salt. Enjoy!! !